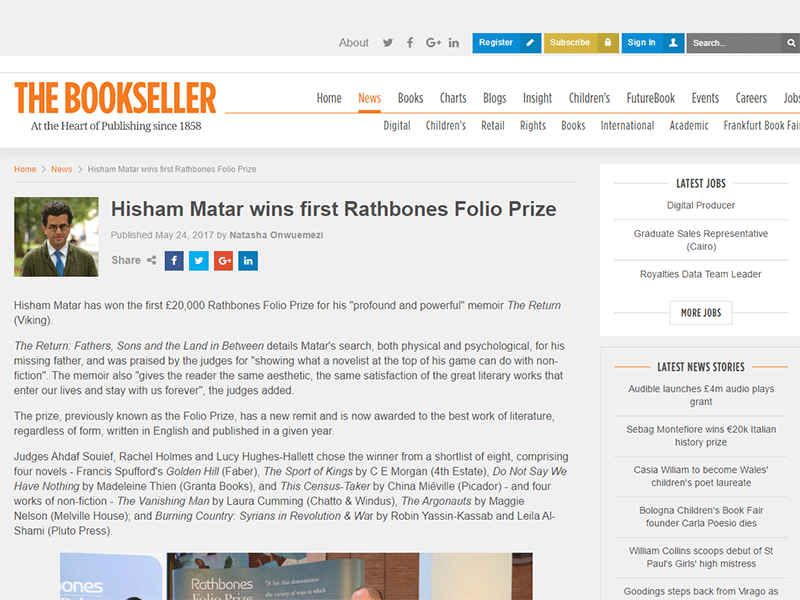 Hisham Matar has won the first £20,000 Rathbones Folio Prize for his “profound and powerful” memoir The Return (Viking). The Return: Fathers, Sons and the Land in Between details Matar’s search, both physical and psychological, for his missing father, and was praised by the judges for “showing what a novelist at the top of his game can do with non-fiction”. The memoir also “gives the reader the same aesthetic, the same satisfaction of the great literary works that enter our lives and stay with us forever”, the judges added.